Cancer cells are to be detected and classified more efficiently and accurately, using ground-breaking artificial intelligence – thanks to a new collaboration between the University of Warwick, Intel Corporation, the Alan Turing Institute and University Hospitals Coventry & Warwickshire NHS Trust (UHCW). Scientists at the University of Warwick’s Tissue Image Analytics (TIA) Laboratory - led by Professor Nasir Rajpoot from the Department of Computer Science - are creating a large, digital repository of a variety of tumour and immune cells found in thousands of human tissue samples, and are developing algorithms to recognize these cells automatically. “We are very excited about working with Intel under the auspices of the strategic relationship between Intel and the Alan Turing Institute,” said Professor Rajpoot, who is also an Honorary Scientist at University Hospitals Coventry & Warwickshire NHS Trust (UHCW). “We have long known that important aspects of cellular pathology can be done faster with computers than by humans,” said Professor David Snead, clinical lead for cellular pathology and director of the UHCW Centre of Excellence. 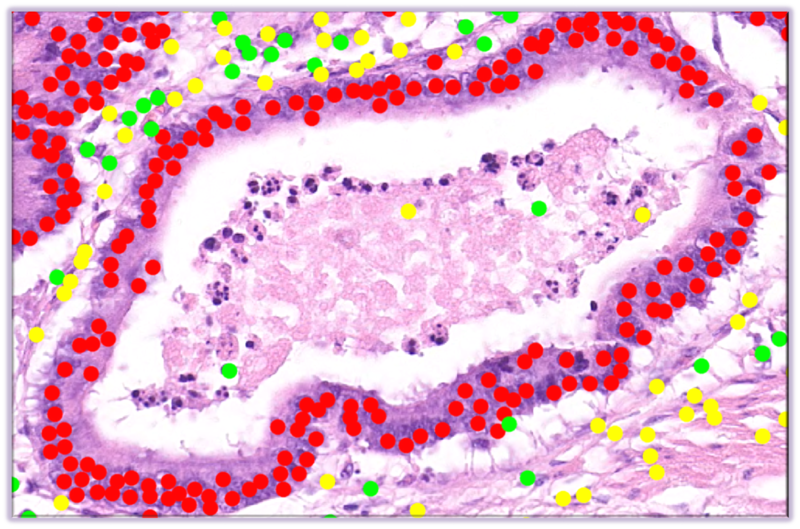 UHCW is annotating the digital pathology images to help inform the model. The aim is to create a model that will eventually be useful in many types of cancer - creating more objective results, lowering the risk of human errors, and aiding oncologists and patients in their selection of treatments. The TIA lab at Warwick and the Pathology Department at the UHCW have established the UHCW Centre of Excellence for Digital Pathology and begun digitising their histopathology service. The project has been launched in collaboration with Intel and the Alan Turing Institute - the latter being the UK’s national centre for data science, founded in 2015 in a joint venture between the University of Warwick and other top UK universities. “This project is an excellent example of data science's potential to underpin critical improvements in health and well-being, an area of great importance to the Alan Turing Institute," said Dr. Anthony Lee, the Strategic Programme Director at the Alan Turing Institute for the collaboration between the Institute and Intel. Rick Cnossen, general manager of HIT-Imaging Analytics in Intel’s Data Center Group, commented, “This project has massive potential benefit for cellular pathology, and Intel technologies are the foundation for enabling this transformation. "We’ve seen what has happened over recent years with the digitisation of X-rays (PACS). The opportunity to transform the way pathology images are handled and analysed, building on experience with PACS and combining data with other sources, could be truly ground-breaking. Image: Microscopic landscape of various types of cells - including tumour cells (in red). Click image for high-res.